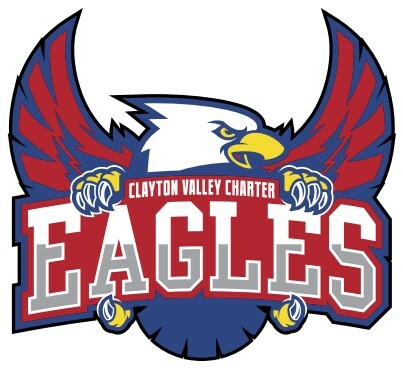 Clayton Valley Charter High School’s Executive Director is no longer with the school, according to a letter sent by the school’s administration this morning. CVCHS will be going through a leadership transition and the current Executive Director will not be returning to CVCHS. The Governing Board and I want to assure everyone that we are fully engaged to make sure all systems and programs are moving forward smoothly. The Governing Board and Administration are united and focused on developing a great transition plan to continue to build upon the success of Clayton Valley Charter High School. We are looking forward to finishing this school year strong and celebrating the accomplishments of the Class of 2018! Is there any money leftover to run the school? Millions. CVCHS has millions of dollars in reserve that Linzey was planning to use to open more charter schools in the Pittsburg/Antioch area and hire more of his friends for ridiculously high salaries to do basically nothing (examples: Linzey’s wife, and city council member Ron Leone). He never cared about CV students, only about profit. Yes, but did the Linzeys leave any of it behind? How much of that was provided from the surplus the City of Clayton collects as a Special Assessment on their Property Taxes? Clayton Mayor at the time, David Shuey, wanted to use it to fund legal work for the Charter, clearly a misappropriation of taxpayer money for a special-interest cause unrelated to the management of the city. Leone is running for County Superintendent of Schools. Educators I’ve spoken with have nothing good to say about him. I’m guessing we shouldn’t elect a person of his (lack of) character. We should do what we can to make sure Ron Leone does not get elected. I’ve heard a lot of comments about Lindsey. Most of the comments have led me to believe he isn’t a well-liked guy. It’ll be fun to read the comments today. They can’t say even if they wanted to based on CA employment laws. In CA you could actually be held liable for giving a “bad” review of a former employee. It used to be somewhat commonplace to say, “By law I cannot share negative information, so I have nothing to share,” during a reference check phone call. They’ve cracked down on that now as well. The only takeaway here is that the deed was done. It’s not a CA thing, its nation wide. And its not that you can’t share negative comments, you can’t share untrue comments, but most companies don’t want even the slightest risk and provide no feedback whatsoever. My last company, who had workers in every State, would only verify your title and start/end dates, nothing more. The community is rejoicing! Our prayers have been answered. That man caused so much discontent and discord in our community. What goes around comes around! He will not be missed. Good bye and Good Riddens! Antioch there is still time to run! Completely Agree. So glad he is gone! SO GLAD HE IS GONE. Good Riddens? Are you a high school graduate? Long overdue. Reading the agenda posted on Claycord the day of the termination, it looks as though the board was also concerned about legal liability. That liability could be from pushback from the employee and/or from actions of this person while employed by the school. To bad no one from our local press covered the meeting. Local press was there but perhaps they decided it wasn’t newsworthy. Something finally went on his permanent record. That is an odd letter. It doesn’t even mention Linzey’s name, nor does it give a perfunctory “we wish him well in his future endeavors.” It is also odd that it came from the principal rather than the head of the Governing Board. I don’t think he could have been fired because several years ago the Governing Board changed his contract to state that the Board could not fire him without cause, as cause is defined in the state ed code. Essentially, that meant he could not be fired unless he was convicted of a felony. I would be very curious to see what’s in the separation agreement. I assume there probably is one, given the fact that this appears to be very abrupt and required a specialized law firm. My first thought was that a CV lawyer must have found some legal reason why he could not continue on as a CV employee at the same time he was working for the new charter school in Antioch. It is no secret that Linzey, the CV administration, and the CV Governing Board have been attempting to open additional charter schools for years, using CV resources. They finally got one approved in March by the Antioch school board. One of the lead petitioners for the Antioch school is the CVCHS Director of Guidance, Assessment, and Testing, who assured the Antioch school board that the new school would follow the same educational program as CVCHS and would be supported by the CVCHS leadership team. The charter petition contained many signatures of CVCHS teachers who stated they were interested in working at the new school. I’ll be curious to see how entangled CVCHS, Linzey, and the new Antioch charter school are administratively and financially. The Antioch Charters were approved last Wednesday, May 9th, by the Antioch School Board with a split vote. Yes, you’re right, Concord School Mom. The Antioch charters were approved last Wednesday. I see from the news report that district staff recommended to the School Board that the district deny the charters due to an unsound educational program, as well as lack of clarity and planning on budget issues. Yet the Board approved it anyway on a 3-2 vote. I’m always amazed when staff analysis shows a charter petition does not meet the state requirements for approval, but the school board goes ahead and approves it. Perhaps the Antioch School Board will have second thoughts as the reasons for Linzey’s abrupt departure become known. The website for East Bay Tech Academies is registered to Ted Meriam, the Chief Innovation Officer at CVCHS, using his CVCHS e-mail, and the address of the CVCHS “district” office in the Safeway shopping center at the corner of Clayton Rd and Kirker Pass. Meriam is the former president of the CVCHS governing board. Cheif Innovation Officer? What kind of a living-in-a-liberal-fantasy-land title is that? I will continue to teach our students to the best of my ability. I will work as a team to make CVCHS an excellent school and make it a school and workplace where education and people are valued. I will work towards the dream that the teachers, staff, parents students dreamt of before it was sabotaged by the now departed executives turned it into a nightmare. I invite all Stakeholders teachers, community, students, previous staff EVERYONE to join me to rebuild the DREAM. TOGETHER. The thorn in our side is GONE. Let the lawyer earn his keep to make sure the thorn is COMPLETELY REMOVED. Let the legal issues be taken care of by him, let the healing be taken care of by ALL of us. To the staff who left under the NOW DEPARTED executive. YOU WERE instrumental in getting the dream started. You became the first casualties in the battle-THE WAR HAS BEEN WON. CVCHS YOUR DREAM NEEDS YOUR support. Let’s show our community what the DREAM you created SHOULD COULD AND WILL BE! SOAR LIKE EAGLES’ U G L Y proud eagles! What’s next? Look at recent history in Livermore, as history repeats itself. CEO resigns. Takes money with him, allegedly. That is still under investigation, but $60 million from Livermore charters is unaccounted for. This is what happens because charters are not required to be transparent with their use of taxpayer dollars. Teachers swear they will do their best to hold everything together, they will not let the ship sink! Teachers don’t get paid, suffer PTSD, one even dies, nearly all resign within 3 months. Families leave charter in droves to return to district schools. Families realize that district schools actually have textbooks, technology, and toilet paper. Charter declares bankruptcy, school district bails out charter for last week so everyone can graduate, school closes. Repeat in other charter schools throughout the state and nation. Just another investment to the uncaring CEO bastards. Karen Sakata doesn’t have the cojones to squash a bug, much less impose any rules on Charter Schools. Lynn Makey is exactly the same. Ron Leone is already a proven slimey guy (see Mt Diablo hospital fuming of his benefits) and further is associated with Linzey. Sure hope smart contra costa residents vote for a harry Hansen or this stuff will continue. Hmmmm…. I went to the CVCHS website and clicked the link for “Executive Director”. It came up with a page not found error. Very strange….. I’m sure the reason for his leaving will come out eventually. Not much stays secret for long. LOL – the web master is scrubbing Linzey off the web site this very instant. For example https://www.claytonvalley.org/apps/pages/david-linzey-executive-director-biography was working a couple of minutes ago and is now a 404. It reminds me of how the Soviet Union used to scrub someone out of photos and other places. Multiple times it was brought up with the CV Board members the community’s concerns over Dave Linzey’s spending. Or lack there of considering there’s $14 million in reserve. The board members never seemed to take our concerns seriously, even when the students themselves spoke up!! It would be nice to elect new board members, ones who will represent the community, and not just the Admin!! Charter schools are extremely unregulated businesses. The only people who really benefit are wealthy investors. Hedge fund managers and real estate developers. What went on at CVCHS is par for the course, and believe it or not, not nearly as horrific as some charter schools. Livermore is a perfect example. Since the board members represent the community, they should at least let us, the community, students, staff, and parents know why our executive director is no longer there! Because he destroyed the dream. And we’re taking BACK the dream. what kind of severance package did he get? And, does this mean all the relatives he hired will be leaving, also? Eileen Linzey is gone, too. Where is the Clayton city council now!!! Charter schools got their foothold in the area in Berkeley in the early 1970s as “experimental schools,” when small but vocal groups demanded their children get the same quality education that the rich in Berkeley were able to provide their children in private schools. Berkeley being what it is gave them what they wanted and experimental schools were born. They were the same disaster that you have witnessed with CVCHS. They were fraught with personnel problems, allegations of misappropriation of funds, nepotism, everything in short that a completely unregulated organization could be guilty of when not having to answer to the funding source, the taxpayers. The experimental schools divided the community then, as they have now. It amazes me that anyone would think charter schools are a solution to any problems related to educating K-12. They are simply devisive and fail at acheiving their goals which history has shown over and over, again. The public schools in this country have a long and successful history of accomplishing the goal of educating youth, having produced outstanding leaders and educated millions of students who have gone on to make worthy contributions to society … because public schools are just a better way of doing things. Interesting, and perhaps telling, that you make no mention of student performance and success. By “student performance and success” I assume you mean something like students at Concord High School build a tiny house while CVCHS football players are arrested for trying to hold up their drug dealer with a gun. Says pretty much everything about why the charter exists. Honestly, Dave Linzey was a legend…he should write a book. So there is not going to be football? Maybe football is over at CVCHS. Almost the entire PE department, including football coach Tim Murphey, signed the charter petition that was submitted to the Antioch school district for the East Bay Tech Academy. They all signed their names to a statement saying they are “meaningfully interested” in teaching at the new charter school. Of course they could all be lying and none of them have any intention of leaving CVCHS. But surely these fine, upstanding teachers and coaches wouldn’t set such a terrible example for the students who look up to them, would they? I doubt Murphy will leave CV to go teach at the Antioch Tech High School. Since Linzey is gone now, no more preferential treatment for the football program. Who is on the sub committee? Vice Mayor Shuey, you stated before the charter was approved that you were suggesting the use of City of Clayton surplus funds for the charter’s legal work because you wanted a quality education for your son. Is that not a somewhat self-interested goal to be using public funds to accomplish? Were you not elected to represent all the people of Clayton and should you not put aside your own personal desires to do what is best for the city? Do you feel the soap opera drama that CVCHS has handed us is an asset to the city? . You are much better off following the old saying: Better to remain silent and be thought a fool than to speak and to remove all doubt. There needs to be an audit of that school to see where the public went to. That should have said an audit to see where public money was spent. Whenever I hear a politician say that, I can’t relax. Same school board that hires and supports all the people who let our school have so much discord while we stayed and did our best under difficult circumstances. We bonded to create this school…we can bond to improve it, too. My prep period may be spent in another classroom. our students ARE NOT left alone. HE IS GONE! The dream remains. He didn’t take the school from the district, the teachers and community did it…and no one person improved the school…it was teachers and parents and the students. The teachers, parents and students wrote the petition, fought the district in court, then the county and finally the state? To be sure the grass-roots wishes, and yes, they were just wishes until made reality by leadership with enough tenacity and power of will, are to be commended but if you think for one second parents, teachers and students could win a battle of this magnitude, you are sorely mistaken. Parents, teachers and students are continuously run over by the just the district on simple matters, let alone the county and state on gaining control of a school. Lela, The teachers, the staff, the students, the community all pushed for the charter. The overwhelming majority of the community supported us through the difficult fight and they still support the school. We did this for everyone’s children, not just my 5, but I am very happy with how it has turned out and the quality of education available. CV Teacher’s comments are well received in that as far as Mr. Linzey was a lightning rod, now that we are moving on let’s all get together again and support and continue to improve our school. The Board will do it’s job and then let the community know what has occurred and what will occur in the future. Don’t give in to fear mongering or name calling of a few. Since you address your comment to me I will ask you directly: Did The City of Clayton supply taxpayer money collected by Special Assessment on their Property Taxes to fund anything at CVCHS? Why do you think the board will do its job now? It hasn’t done its job in years. Have you attended any board meetings? How can we trust you as a community leader? Do you still not understand that what the board and Linzey have done is outright wrong, if not criminal? Aren’t you a lawyer? I can not wrap my head around your nonsense! The board needs to resign also! They are all just as corrupt as linzey. They agreed and approved everything that Linzey asked for. I agree. The board needs to resign and be held accountable for their incompetence. There is an entity in the Clayton Valley Charter debacle that many people are missing. It is the oversight and rigorous accountability of the charter that the authorizing agency, Contra Costa County Office of Education, didn’t provide. Instead, Superintendent Karen Sakata sat on her hands and did nothing to move the County Board to address the many problems of the Charter. It was a total unwillingness on Sakata’s part to take a leadership role, but rather she chose to be “ consistent “ and do nothing. At this moment with the sturm und drang going on the County leadership should step in and start making some demands of the charter. The first of which is to have a broad and intensive forensic audit of the Charter’s finances and its spending since its inception. There are very probably many violations that would allow the County to close the Charter’s doors. But whence cometh the leadership? The one who can do the job from day one is Cheryl Hansen. She proved she could turn chaos into order and a positive culture in MDUSD and she never backs down from a challenge. She can and will do the job and do it right. Critics will claim she is against charters. That is a blatant lie. She has stated again and again that she is not against charters but rather just the corrupt individuals who corrupt them. Straight shooter, no nonsense, and gets results. The other candidates are either unprepared or so compromised there is no way they could or would get anything changed. The first candidate, Lynn Mackey, is Sakata Lite. The only reason Sakata picked her is because all the other possibilities were ready to retire, didn’t live in the district, and Sakata could talk her into thinking she could do the job. She even gave her title of Deputy Superintendent while the current Deputy Superintendent was out on medical leave. Aside from a string of other titles given to her she still is an unimaginative bureaucrat who would have a hard time organizing an on campus field trip for first graders. Currently she is rushing around breathlessly telling people that the East Bay Times endorsed her. Here’s a news alert. It wasn’t the Times, it was one reporter, Dan Borenstein, pretending he was the Editorial Board. The most compromised candidate is the ubiquitous Ron Leone who currently is the Assistant Superintendent of Clayton Valley Charter High School District. At this moment he is probably changing the drapes in Linzey’s office. Ask yourself this question: Do you really believe that Ron Leone could represent the 18 school districts in the county? Would you buy a used car from this man? His record speaks for itself – Yuck! Hansen voted for the charter when it was pointed out that there were problems with how the board elections would be run. Sherry, Hansen wanted MDUSD to CONTROL the charter by overseeing it. Get your facts straight before you post easily fact-checked info (see MDUSD Board minutes). Because MDUSD is NOT the oversight body for the charter, and CCBOE IS, there is no actual oversight. Surely this is an exaggeration!! Well said. The board was/is as much to blame as DL was. They’re all guilty and they should all be gone. They enabled crooked dave. So what does that make them? Drain the swamp!!! There has to be a new Board. Most of them are hand picked by Lindsey. Anyone hanging out with Lindsey who is involved with the charter has to go as well. They know who they are whether it was at the dinners, sidelines of football games etc., because they knew what he was doing. Also remember someone else had to sign the checks as well. How could that person stay around. The teachers and principal are doing a great job as well as the students. Lets keep it going and just get real honest people back on the board. ….just another day in the life of that drama queen of a school. Hope the other posters here are correct and that the kids are getting a good education despite all the drama. The fact that the treasurer still has a job at this school is mind boggling. She should have been fired the minute that Dictator Dave “Voluntarily” resigned. She either had her head in the sand so badly that she should be fired for sheer incompetence or she knows all the underhanded dirty dealings and did not stop them by blowing the whistle. Either way there is no way in heck she should have anything to do with the finances at that school. Please resign as well! I can say for sure that teachers are not always in class. There are kids vaping in class. Some teachers just don’t show up and expect the seniors to teach the class. I’m glad DL is gone. The entire board needs to go! No, the City did not. Originally the City Council considered a loan to the steering committee for the original charter needs and we got approval from the City Attorney that we could offer a loan to be repaid. Ultimately, this was not necessary as other funding sources came forward. So no public City funds have been given to the school. Thank you. That is one less thing I find objectionable about the charter school. Unfortunately, there are so many others. Your comment is well considered and I can understand your concern. I do try and put myself in the other shoe to understand opposing sides. What I am trying to indicate is that there is a lot of speculation going on as to what did or did not happen and people should not rush to judgment. I would agree that the current charter is different than what we originally planned, but much of that was because they were learning as they went. I agree that some decisions were not what I or others wanted but overall the Board did what it felt was right under the circumstances at the time. We all live and learn and the reality is the current Board has some new members that were not part of the prior decision making and while it may have appeared the Board was united with Mr. Linzey on most items it was not without checks and balances. You and others have every right to ask questions but let’s not jump to conclusions, put out foundation-less accusations and vitriolic hyperbole. The Board will tell us what is going on when it can and we can then ask questions and demand answers. Remember, though, that the law on personnel matters may make it so every answer is not able to be given to protect individual rights. But let’s give the Board some time and then we can ask those questions. I am confident the Board as it is comprised is doing the right thing. The overwhelming community support for the charter that you speak of is no different now than it was prior to its inception, as evidenced by the comments here, and yet, then as now, you try to squelch and silence those concerns telling everybody to “relax” and let the process play out. Silencing the critics is what got the charter school to this point in its existence, if I am not mistaken. I hear that DL and EL have been spotted at the international terminal of SFO in the last 20 minutes. Wow! Shoe, the only time anyone needs to give the CV Board is prison time. Today the County Office of Education sent a letter to CVCHS informing them that County Office of Ed would be performing a financial audit and ordering CVCHS to preserve all records. They sent a second letter informing CVCHS that they would be performing an audit of CVCHS hiring practices and ordering them to preserve all records. Nonsense! Hansen told Clayton and Concord attendance area families that they could transfer to whatever school they wanted to attend. Just as many attend Concord as they do Northgate, selfishly, because the comments is so terrible over YVR. Ted Meriam, Chief Innovation Officer at CVCHS, is gone in addition to the Linzeys. He was president of the governing board for several years. Ted. Is one of the biggest phonies along with Geller and Medrano, Kommer, Bailey and the guy they had call into the meeting’s Asadoorian. Linzey controlled the board they didn’t control him. !! Ron Leone seems to me to be someone interested in public service for reasons other than serving the public. Shady, shifty, and not worthy of another elected office… especially after this fiasco. The Contra Costa County Office of Education says it is their understanding that Clayton Valley Charter High School Chief Innovation Officer Ted Meriam has also resigned. I agree with most of the comments here BUT lets be real….are even one of you willing to stand up and say I’ll do it. I will work on the board! Ya all live in glass houses. I had trouble rounding up 20 people for a work party to clean up trash@ another school, so unless you’re willing to stand up and be counted…stop complaining…There has to be a change in California… our public schools rank 49th… maybe THIS charter was a problem but there are numerous succesful charters. 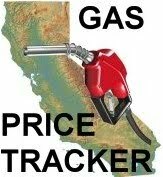 Either California goes another direction or our schools become like 3rd world. Doesn’t matter who you vote in locally the state CTA will crush them and continue the status quo. There was no action taken at the meeting. They discussed the items for two hours in closed session then came back with nothing to report. The most likely reason for that is that Linzey resigned before they could fire him, so they had nothing they needed to do at that point. They probably let Linzey resign to avoid any public wrong doing on their part. If they had to press charges for whatever it is he did, people would find out that the board was involved as well. Why would they want to incriminate themselves? They probably just let him resign, no questions asked, and the public will never know. Because of his contract, that’s the only way the board can fire him, if he committed a felony. If that was to play out, all of the boards wrong doings would come out!